Protect yourself, defend your friends and neighbours. 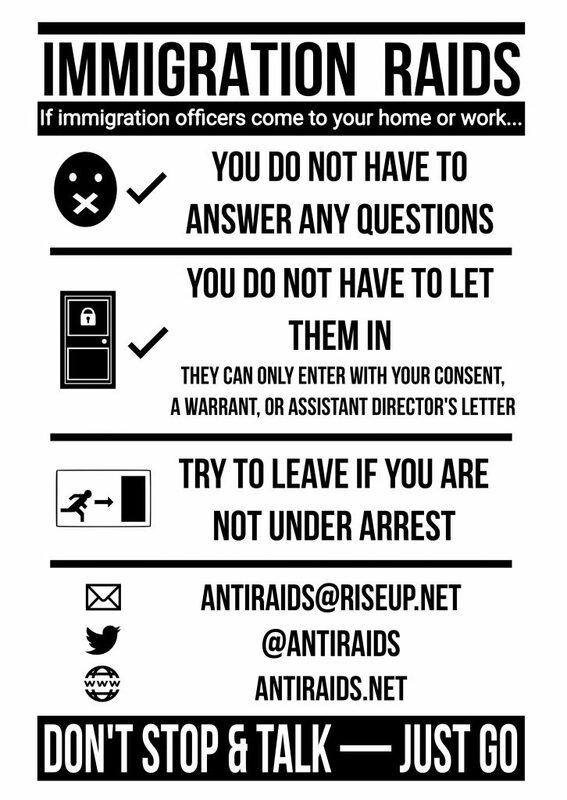 Share, download and distribute our, double-sided cards on what to do during immigration raids (updated March 2017). Pdf file for printing (4 cards per A4 page).